The legendary director known for his fantastic visuals now has his own equally fantastic taquilla. 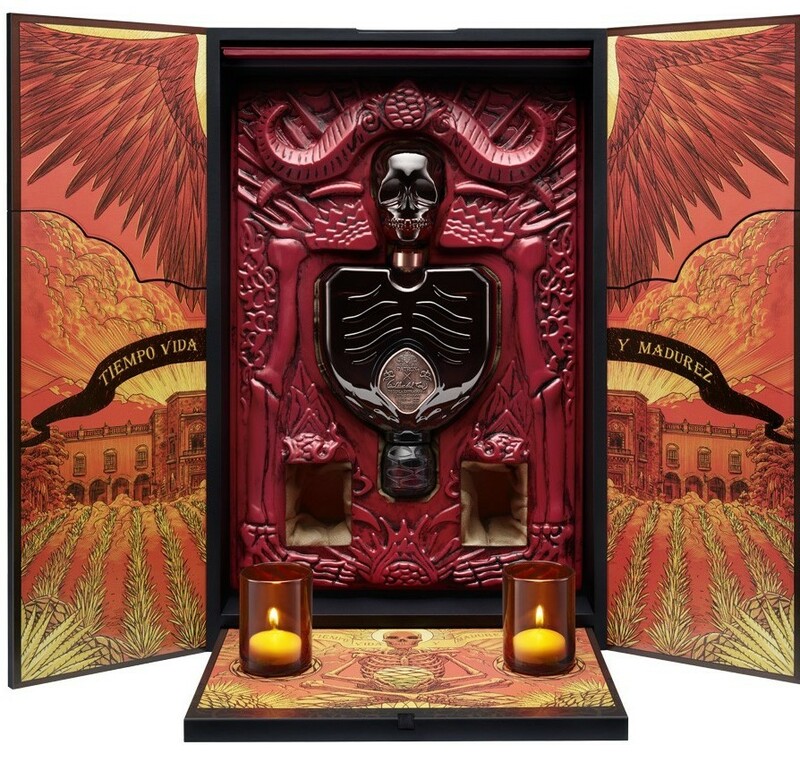 This new collaboration between Guillermo Del Toro and Patron brings us one of the most sinister looking taquilla packages ever, right on time for Halloween. Not only is Guillermo Del Toro the man who perfectly blends the fantasy world with deep dark story lines, he was also born in the western state of Jalisco, these two factors explain the reason why the collaboration happened and the spooky look of the spirit itself. The Patron package contains a 750ml bottle of blended añejo tequilas from the Patrón distillery in Mexico, and a 100ml bottle of orange liquor. The going price for one bottle is $399 US. Drink responsibly, and at your own peril.